The pastoral care of pupils is one of the most important aspects of school life. 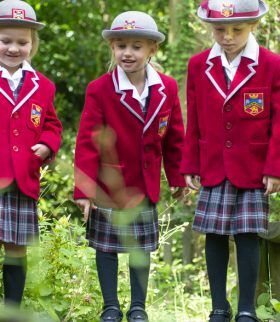 Of course, we want our pupils to achieve academically and aim high but we also believe that a child who feels valued and secure is more likely to reach their full potential and to achieve the excellence for which the school is renowned. Our quality of pastoral care has been independently recognised by the ISI full Inspection in recent years, which has consistently ranked it as “excellent”. 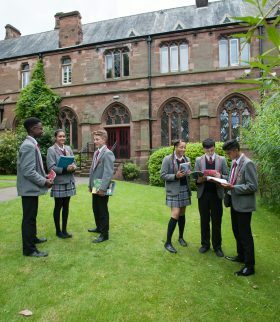 The most recent inspection report commented that “…the staff know their pupils really well, and the excellent rapport that exists between staff and pupils is evident throughout the school”. At every stage, pupils at Highclare are known and valued by staff, enabling their smooth transition throughout their school life. Highclare operates a unique system in the senior school, with each pupil having their own personal tutor, who remains with them throughout their life at the school, arranging regular individual meetings and contributing to their pastoral care. All staff are focused on the need to ensure that pupils feel secure and valued, in part through ensuring that an atmosphere of mutual respect and understanding is maintained. This is also achieved through ensuring that pupils are encouraged to voice their concerns and views, as through our well established senior and junior school councils. We believe that further evidence of the success of our pastoral policies can be found in the most recent ISI full Inspection report that “…personal development is outstanding” and that “pupils behave extremely well throughout the school”. Again, this is a testament to the mutual respect and understanding which exists between staff and pupils at the school. We have a very strong anti-bullying culture, and we work hard not to be complacent in our efforts to ensure that all pupils feel safe and secure. The Senior School Council was instrumental in drawing up the anti-bullying code, which aimed to make the main aspects of the school’s anti-bullying policy more accessible to pupils and ensure that all pupils were made aware of the need to be respectful and supportive of others. In the preparatory school the ISI full Inspection noted that “by the end of Year 6, pupils are highly articulate and confident to express and justify their opinions in a range of situations”, and at EYFS the ISI full Inspection stated that “children make excellent progress in their personal, social and emotional development”. We believe that these comments bear testament to the strength and importance afforded to the pastoral care of Highclare pupils across all areas of the School. 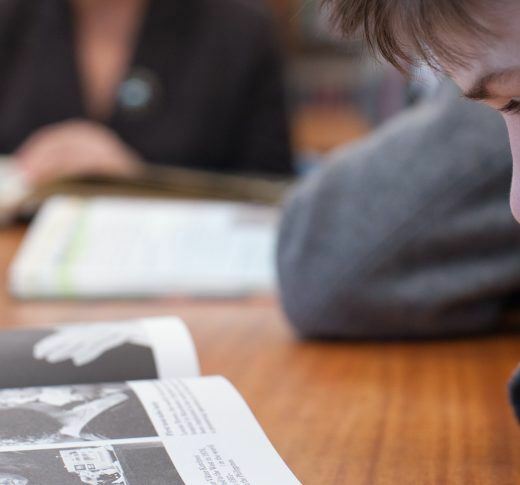 Personal, Health, Citizenship and Social Education is included in the curriculum and gives pupils opportunities to explore ideas, or express views on a wide range of topics. Staff work with individual pupils to build self-confidence that then reflects in other areas of school life. Health care is carried out by the School Nurse and first aid coordinators who cater for the health needs of all pupils. In all, the pastoral care system at Highclare School ensures that all pupils are supported, valued and encouraged to develop the self-respect and self-discipline alongside tolerance and respect for others which is one of the school’s aims.